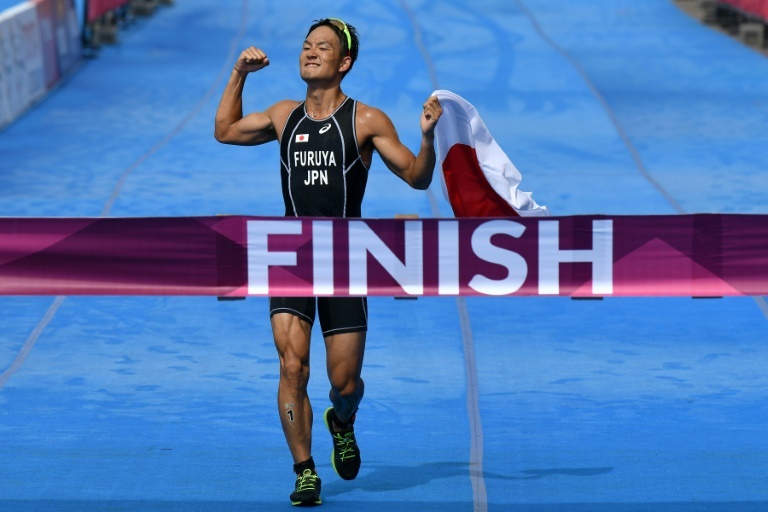 Jumpei Furuya extended Japan's Asian Games triathlon winning streak on Saturday as the 2020 Olympics hosts neared their record total of gold medals on the last day of full competition. The 27-year-old completed the Olympic-distance course in Palembang, where he won last year's Asian title, in 1hr 49min 43sec, 55 seconds ahead of Kazakhstan's Ayan Beisenbayev with Li Mingxu of China third. After Yuko Takahashi won the women's race on Friday, Japan have now completed their third straight triathlon double, as well as the inaugural mixed title in 2014. Sunday's mixed race in the swimming, biking and running event will be the 465th and final gold medal at the 18th Asian Games, rounding off two weeks of competition in 40 sports in Indonesia. With 44 gold medals in play on Saturday, Japan are in second place in the overall table on 70, flirting with their 1966 record of 78. Early on a busy final Saturday, runaway leaders China won four out of six canoeing finals as they moved to 122 gold medals, with South Korea third in the table on 44.